Gained importance in the industry as a prominent company, we are offering Colorful Promotional Pen, which is delivered in recommended time frame. In order to keep pace with never ending demands of the customers, our company is instrumental in offering Twit Promotional Pen. 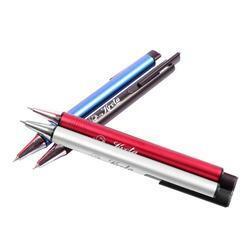 Above lots of variety of Corporate Gift Pens available with Printland, including promotional, branded and premium pens. Being a well established organization, we bring forth an excellent array of Promotional Pens. 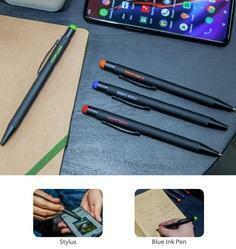 The offered pen is specifically designed by our experts utilizing quality material & modern techniques as per the market trends. Our pen is checked by quality experts in order to dispatch a defect free range. This pen is comes in diverse sizes, & customized options to choose from. Plastic promotional pens for branding. Customise with your brand name & promote your brand.